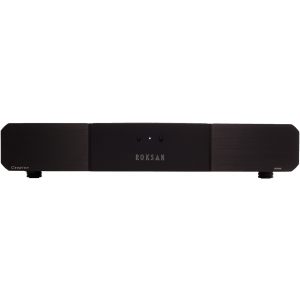 Roksan RPM Reference is the new high-specification, ultra-accurate statement speed control for use with the Xerxes 20+. Roksan RPM reference speed controller consists of entirely new and highly advanced digital speed control PCB and audiophile-grade components representing a significant upgrade from the previous and long-established reference speed control as featured in the discontinued DX2. It is the new high-specification and ultra-accurate statement speed control for use with the Xerxes 20+. Featuring a very high quality crystal speed control system, it maintains pitch perfect speed stability for both 33/45rpm. One new feature of the RPM is its ability - thanks to the new advanced digital speed control PCB – to either increase or decrease the speed (up to 6.25% either way). This is a very useful addition for customers in areas or countries with unstable or poor currency voltage to attain the exact, correct speed. - Adjustable speed control in micro-increments up to 6.25% either way. - High quality Caspian M Series chassis and front plate design.